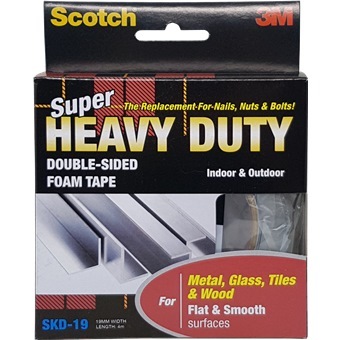 3M SUPER HEAVY DUTY TAPE - SKD-19 FLAT&SMOOTH (METAL GLASS TILE WOOD) 4M is rated 4.5 out of 5 by 2. Stainless Steel to stainless steel up to 1260g per 2cm of tape. 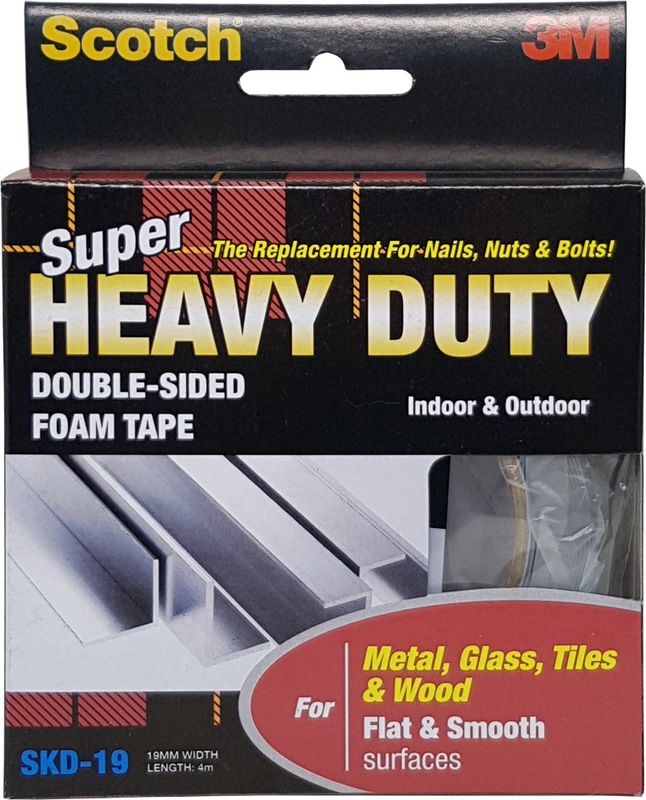 Aluminium to aluminium up to 830g per 2cm of tape. Wood to wood up to 650g per 2 cm of tape. 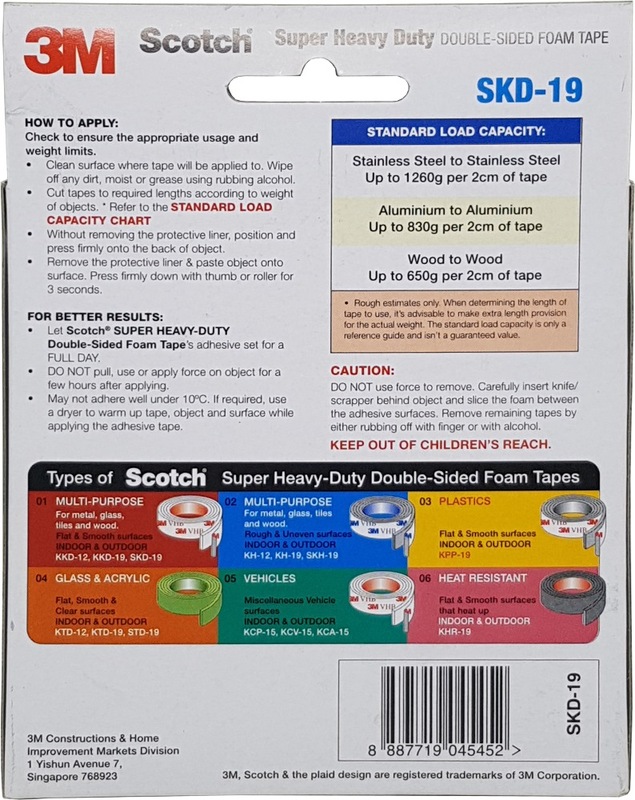 Rated 5 out of 5 by Andrew Nicholas Lee from 3M SUPER HEAVY DUTY TAPE - SKD-19 Best 3M adhesive tape. This 3M adhesive tape is strong unlike other inferior adhesive tapes. Rated 4 out of 5 by Geoff2016 from Strong and powerful tape Tape performed as expected. Sticks well and can support enough weight.